1. If you’re covered under a company or group travel insurance plan, be sure to read the fine print to see whether you’ll need supplemental travel insurance. 2. It’s best to double-check your insurance’s cancellation policies too.Make sure your policy refunds your ticket in case you have to cancel your trip. If you don’t have it, again, you’ll have to explore additional coverage. 3. Visit your doctor to take care of any health needs: vaccinations, prescriptions, medical certificates, supplies, etc. If you have a pre-existing condition, you’ll need to check your coverage, since it will likely impact the type of travel insurance you’ll need. 4. Bring insurance details (wallet card, toll-free numbers, etc.) with you, so you know who to call in the event of an emergency. 5. Be sure that your passport is valid way beyond the date you’re planning to come back to Canada; also be sure to keep a copy of the ID page, separate from the original. 6. Don’t forget to get any required visas well in advance. (Not sure if you need a visa? Visit the Canadian Government’s travel site for more info). 7. If you’re planning to rent a car while away, you’ll probably want to look into getting an International Driving Permit, in advance too. 8. If you’re travelling with kids, be sure to bring with you any consent letters or court orders that may be legally required. 9. 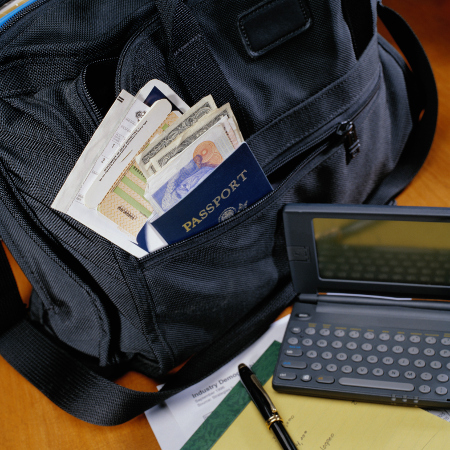 Leave copies of your insurance policy, passport and itinerary with family/friends. 10. Review your homeowner’s insurance plan, because most plans require someone to check on your place every 72 or 96 hours. Hopefully, this checklist prepares you, alleviates some stress and frees up some time! Have anything to add to the list? Please share it with us below.